wadda 5 had the most liked content! wadda 5 replied to Chrysler's topic in Looking for a clan? 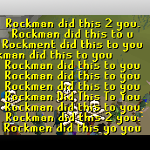 Is the RS community growing again?